British Airways (BA) says that it will be forced to cancel 78 flights from Heathrow’s Terminal 5 today (28 March) as the catastrophic effects of yesterday’s opening problems continue to snowball. A glance at the list of cancellations shows that the axe has fallen mainly on short-haul routes from London to Brussels, Copenhagen, Zurich, Oslo, Amsterdam and Paris among others. 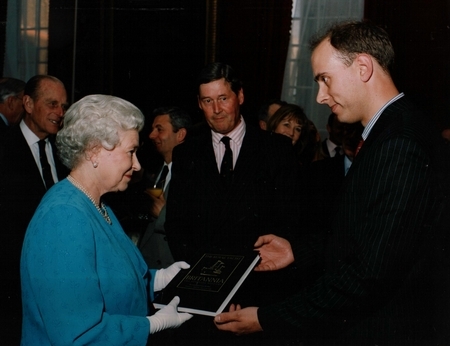 HM The Queen, surrounded by the Royal Yachtsmen and their families, received a copy of the Official History of the Royal Yacht Britannia in 2003, a vessel that gave sterling service to Britain, prematurely retired by the Blair Brown Regime in an earlier attempt to minimize the role of HM The Queen. HM The Queen and HRH The Duke of Edinburgh celebrated their Diamond Wedding Anniversary in 2007. After 60 years of marriage, most couples enjoy a party with friends and family to mark this event which so few couples manage to achieve. Unfortunately, the original date set aside well in advance clashed with a Commonwealth Meeting. Once again, as so often in a long career as Monarch, Her Majesty decided to arrange a belated party in 2008, to fit in with her duties as Head of State of the United Kingdom. This event was to be a private function, paid for with private money, at the Ritz. It is difficult to imagine that anyone would grudge this hardworking octogenarian couple such a celebration. However, it has been announced that Her Majesty has decided that it would not be appropriate to go ahead with the celebration when the United Kingdom is poised on the edge of a full blown recession which may prove deeper even than the 1929 financial turmoil. Her strong sense of duty will not let her party while Britons are losing their homes and their savings. What a wonderful and selfless example for a public figure to set !!!! Scottish Prime Minister, non-elect, “Bottler” Brown and his glove puppet “Dobbin” Darling have proved singularly incompetent navigators. Under their inept control Britain is poised on the brink of financial melt-down while they cruise on in their own parallel universe, having totally lost the plot. Meanwhile in a parallel universe, many, many light years away, Scottish Prime Minister, non-elect, “Bottler” Brown is still claiming to have abolished boom and bust for ever, that the current financial melt-down is just a minor blip caused by Johnny Foreigner ( and nothing to do with his decade of profligate spending and waste ), that the sun always shines on Britain and winter has been abolished, that the NHS is a magnificent achievement of perfection where stories of rising death tolls at insanitary, ill-managed, target-obsessed, hospital trusts are anecdotal, that the brave workers of the 385th Tractor Co-operative have again exceeded all targets, that Britain under national socialism has solved every problem known to man. Once again Blair Brown Regime spin doctors have been busy trying to present “Bottler’s” wife as First Lady, a post already so admirably and frugally occupied by the British Head of State, HM The Queen. Speaker Martin is once again resorting to high cost lawyers – at, of course, public expense – to hide the extent of the Parliamentary gravy train. 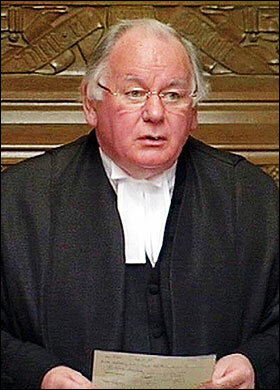 Even for the scandal beset Blair Brown Regime, “Gorbals Mick”, the worst Speaker ever to occupy the post in the long history of British Parliament, is once again exposed. It seems that Gorbals has spent more than £1.7 million on his own aggrandizement from the public purse, this follows on from his wife spending thousands on taxis to take her and a friend shopping, thousands claimed for a second home, and the hundreds of thousands of pounds spent by Gorbals trying to escape the Freedom of Information legislation in an effort to save himself and his fellow national socialists from exposure for flagrant abuse of public funds. Its occasions like this when British citizens might regret not having a Queen’s Party to vote for, in the hope that its politicians would follow the many honourable examples set by HM The Queen. The Blair brown regime has closed down the Civil Serf weblog. Civil Serf, a serving Civil Servant, had established the weblog to express frustration felt by her and colleagues at the insanity, bullying, incompetence and repression of the national socialist regime. “Bottler” Brown is reputed to have burst several blood vessels when he learned of the weblog. Employment law specialists have expressed doubts at the legality of the disciplinary measures and enforced weblog closure but then every Civil Servant must be aware of what happened to Dr David Kelly when he had the courage to stand up against the regime. Au revoir Civil Serf, we’ll miss you. 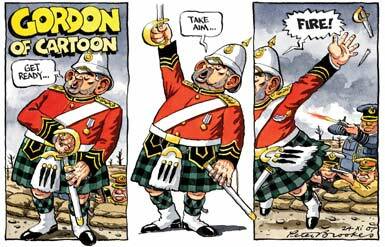 Scottish Prime Minister, non-elect, “Bottler” Brown has performed a partial Crazy Gordon over his insistence on a Three Line whip during debate of the Frankenstein Bill which opens the way to the creation of chimera. Yesterday, “Bottler” let it be known that any members of his national socialist party will be free to vote on conscience during debate of clauses, but will be required to vote with him in favour of chimera creation in the final vote. He believes that this will allow Roman Catholic Cabinet Ministers and MPs to avoid any need to resign in protest at the proposals which have been condemned by the Roman Catholic Church and a number of other faiths. 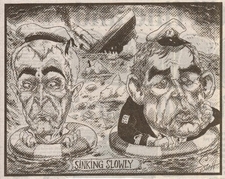 Since Scottish Prime Minister, non-elect, “Bottler” Brown followed his partner in crime, Phony Blair, into 10 Downing Street, he has called meetings of COBRA every two weeks. This crisis management committee was established to meet only during severe crisis. Seems “Bottler’s” premiership has been one long string of serious disasters. The new controversy over Heathrow Terminal 5 looks a lot like BAA making the traveling public pay for a major design foul-up. By building a terminal that allows international and local passengers to mingle, all security control has been lost. In a poor attempt to regain control, BAA intends to fingerprint all passengers. This may be illegal under British data protection legislation, but it is unlikely to address a serious security vulnerability that could have been planned out in the first place. The Register has produced some very valid comment. 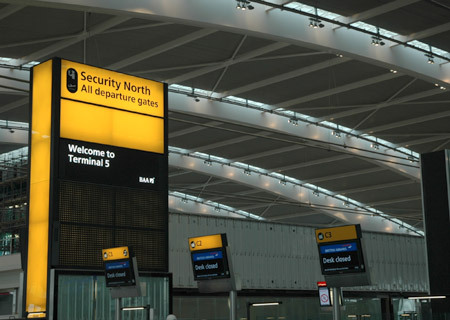 The government, the British Airports Authority and the Information Commissioner’s Office are arguing over fingerprinting at Heathrow’s new Terminal 5, which is due to open on Thursday. T5 is to use a ‘count them all in, count them all out’ biometric system to log entry and exit to the departure lounge, but the ICO thinks the move may breach the Data Protection Act, and has demanded an explanation from BAA. Fingerprints are to be taken because T5 will use a single departure lounge for international and domestic passengers, and there is therefore a need to tie the passengers to their tickets. Otherwise, it is claimed, passengers could swap tickets in the lounge, and incoming terror suspects could slip into the UK via a regional airport without going through immigration. Instead of, one assumes, continuing their transit unhindered to Schiphol or whatever. It is not immediately obvious why someone who’s going to be ID’d as a dangerous terrorist by the Borders & Immigration Agency at the immigration desk is not going to be similarly ID’d on the passenger manifest, but this is by no means the only thing that isn’t immediately obvious. And it’s being done at Heathrow, but not at other airports, because Heathrow is special, “because there was a higher risk at Heathrow.” Right… Except that it’s only being done at Heathrow so far. The system being deployed at Heathrow has in fact been running, without fingerprinting, at Gatwick for over three years. The Gatwick Common User Lounge System (CULS) was developed by Advantage System Solutions, and “is designed to allow domestic passengers to use CUL facilities (shops, restaurants etc.) at a London airport – which would otherwise only be available to international passengers.” From BAA’s point of view having all of the passengers in one huge retail complex is good for business, and we should be clear here that single departure lounges are a part of BAA’s broad strategic plan, not just some weird design feature of Heathrow Terminal 5. The Gatwick deployment involves taking a digital photograph on entry to the lounge, and attaching a barcode label to the boarding pass. Scanning this at the departure gate brings the photo up on screen, and security compares it with the live item. The system ought to be fairly reliable provided security is paying attention, and the addition of a facial recognition facility (as anticipated by Advantage), would tighten the system up further. For Heathrow, however, this system has morphed into PASS, Passenger Authentication Scanning System. PASS consists of three components – ICISS (Integrated Communication Information and Security System), which is used in conjunction with Internet check-in; CULS; and fingerprinting. This last is the only real ‘new’ feature of PASS, which otherwise seems a repackaging of CULS and ICISS, both of which have been running together for several years. And as they’ve been doing so at Gatwick without fingerprints, the new feature (the technology is supplied by Germany’s Dermalog) is clearly optional, probably disproportionate, and unnecessarily invasive. There were four pretty angry airline bosses in the room last week as an unprecedented alliance of carriers reacted with fury to the UK Civil Aviation Authority’s decision to impose huge price rises at Heathrow and Gatwick. And indeed the numbers do look quite startling. At Heathrow, BAA can charge £12.80 ($25.75) per passenger in 2008/09, an increase of £2.44 or 23.5% from last year’s cap. After that it can subsequently raise the charge by retail price index (RPI) plus 7.5% per year until 2013. Gatwick is not quite as steep but is nonetheless noteworthy with a £6.79 per passenger charge this year, up £1.18 or 21%, with raises of RPI plus 2% permitted each year afterwards. Strong stuff indeed and the media was out in force to report on a) what was a very good story (when was the last time you saw easyJet and Ryanair in the same room?) and b) came in the same week that huge speculation centred on BAA Spanish owners Ferrovial’s significant debt that sees it having to service £800m of interest alone this year. But maybe, just maybe, BAA will be able to have the last laugh. 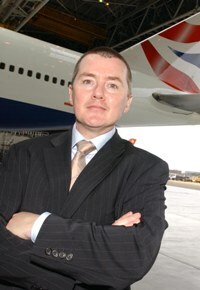 Despite brave talk of boycotting the increases, the very idea was firmly slapped down by Ryanair deputy CEO Michael Cawley with a: “We are all law-abiding citizens,” riposte. For what seems like a lifetime now UK airports – and those in the south east in particular – have endured withering criticism from a rag, tag and bobtail grouping of assorted politicians, greens, passengers, suppliers and yes airlines. But BAA can rightfully reply that in order to overcome those – legitimate – concerns it needs a massive cash injection to fund what will clearly be a vast system of improvements. Airlines, passengers and BAA all want that, so why are the carriers so angry? The gang of four is convinced that at the heart of these staggering rises are the twin issues of BAA ownership and the role of the CAA as regulator. They collectively argue that Ferrovial’s “highly leveraged speculative acquisition” of BAA using nearly £9bn of borrowing is forcing the operator’s hand to raise cash through the blunt instrument of airport charges. Secondly, they maintain that the problem lies with the CAA in the form of its Economic Regulation Group, which uses the “no longer fit for purpose” Airports Act of 1986. The four insist that the only way to address their worries is to break up the BAA airport monopoly – accompanied by a price control regime – while at the same time as allowing competitors to BAA to build and operate terminals. But if BAA says it is to spend a cool £5bn in the next five years upgrading Britain’s creaking airports, where do the airlines think the money will come from? Even if their wish list came true, it would take some considerable time before the monopoly break-up and any concomitant trickle effect could work its way through. The last one appears to becoming a sort of template for all and sundry with any economic woe, but BAA does not say how many more billions it actually needs. Ferrovial must rue the day it took on such a leviathan and there has been widespread talk that it is looking to divest some airports to raise some money – a view flatly denied by BAA commercial director Dr Duncan Garrood at last week’s Aviation Club lunch. There has nonetheless been considerable chatter that Gatwick is being fattened up as a first sale, while last week’s disposal of World Duty Free Europe for £500m+ to Autogrill – surely that won’t become WDF’s new moniker? – has also temporarily eased the pressure. To add to this heady cocktail is the thunderously contentious mooted addition of runway capacity in the South East. Stansted has formally submitted its application for a second runway, while the endless debate about a third one for Heathrow is bogged down in argument and counter-argument. And all the while that these shenanigans go on, Frankfurt, Amsterdam, Paris et al, quietly go about their business of attracting jobs and investment – not to mention disgruntled UK passengers – through their shiny new doors. The Queen formally opened T5 last week to a huge, collective sigh of relief from British Airways and just before the bizarre march to Waterside planned by the massed legions of militant pilots. Is the rest of the UK aviation industry having to fork out for the mightily impressive glass and steel structure now open at Heathrow? Or are in fact, they putting their hands in their pockets to fund a Spanish company’s extraordinary mountain of debt? 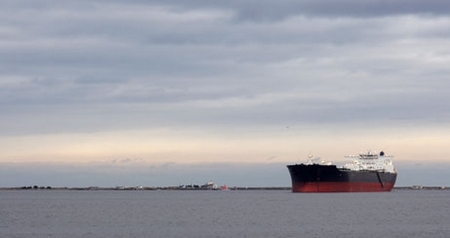 INTERNATIONAL shipping accountant Moore Stephens has warned UK-based shipowners that, despite the recent “welcome” withdrawal of some proposed changes to the UK tonnage tax regime, the EU flagging rules which will be implemented after 1 April this year will still apply. And it has urged those owners and operators adversely affected by the implementation of the rules not to over-react, but to examine carefully the options open to them. It is expected that the new EUSSR will now increase the number of regulations enacted as a single super state. Since Scottish Prime Minister “Bottler” Brown covertly signed the new European Constitution many grossly unpopular changes to the regulations of former sovereign states can no be forced through however much citizens may object. Seizing control of merchant shipping is as important as seizing naval assets in enabling the new EUSSR to wield power as the most powerful super state. Growing confrontation with the United States and China can be expected as the EUSSR tests its power. Crazy Gordon on ID Cards? Not so much a Crazy Gordon as a Salami Slice. The Blair Brown Regime has announced that ID cards will not be compulsory. Any British citizen who does not wish to be a student, draw benefit, use the NHS, or a number of other optional activities will not have to have an ID card YET!!! The master plan is to force smaller groups of people to carry ID cards and then, when they are the majority, to force the cards on everyone. Apparently citizens who don’t mind being jailed will not have to carry a card. The justification for cards has changed. The latest excuse is that live-side airport workers need them to fight terrorism – interesting, most people assumed that they already carried identification and were checked by someone. The other justification is that no one recognizes Jacqui Smith the Home Secretary and she needs an ID card. Not much of a justification because on her last election majority she is unlikely to be a Member of Parliament after the next election – or has “Bottler” Brown found a way of avoiding a General Election. NIGEL WILL BE APPEARING THIS LUNCHTIME (MARCH 5TH) AT AROUND MIDDAY ON THE “JEREMY VINE SHOW” BBC RADIO 2. 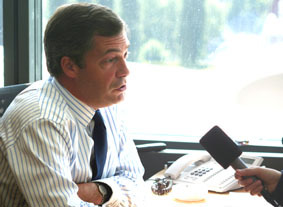 UK INDEPENDENCE PARTY LEADER NIGEL FARAGE IS APPEARING ON BBC1’S QUESTION TIME THIS THURSDAY (6TH MARCH) AT 10.30PM. 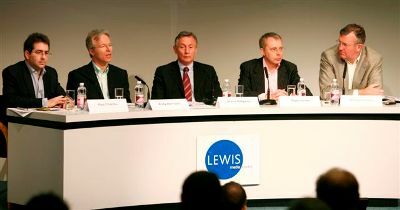 OTHER PANELLISTS ON THE PROGRAMME ARE DAVID DAVIS, ED MILLIBAND AND SHIRLEY WILLIAMS.